We strongly believe in Fair Trade, so we are proud to offer yarns and goods from companies with Fair Trade status. 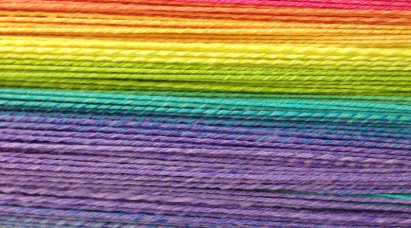 Manos del Uruguay offers luxurious yarns hand-dyed by artisans in Latin America. Frog Tree Yarns work directly with mills in Peru and Bolivia. Lantern Moon contracts with artists in Cambodia, Vietnam, and Bali to bring us baskets & bags. At Purlescence Yarns we search for the finest quality yarns to make your fiber arts dreams come true. From classic mill-spun and commercially dyed yarns to artisan crafted hand-painted yarns, we carry a huge variety of yarn weights and colors.